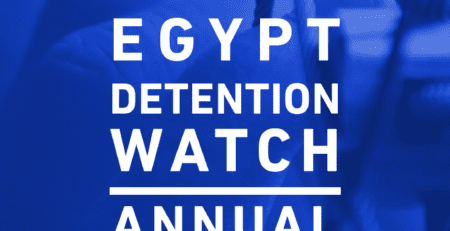 Following CfJ’s six reports on human rights violations against detainees in Egyptian detention places for the first ten months of 2017 (January and February, March and April, May, June and July, August, September and October); Detention Watch project proceeds in this issue to provide an analytical overview of the human rights situation in Egyptian detention places – formal and informal – during the months of November and December 2017; while holding the authorities accountable of their obligations mandated by law (Egyptian constitution, Egyptian criminal law, and international human rights treaties Egypt has signed). 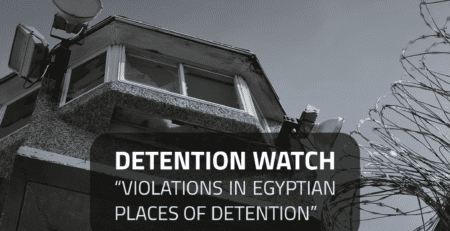 220 incidents of violations in detention places were monitored in November 2017. In December 2017, 208 incidents of violations were recorded. 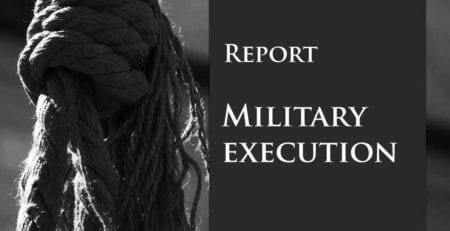 Out of those 220 cases in November, an 88% rate of enforced disappearance cases was recorded (193), 5% rate of monitored medical negligence cases (12 cases), 2% rate of extrajudicial killings (5 cases), 2% rate of torture (5 cases), and 2% rate of medical negligence leading to death with 5 cases. 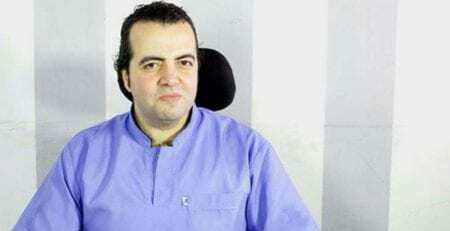 Beheira Governorate is responsible for 31 of the monitored enforced disappearance cases and is followed closely by Sharqia Governorate with 30 reported enforced disappearance incidents. 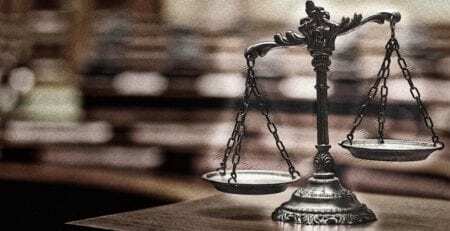 Out of 208 cases in December, 89% rate of monitored enforced disappearance (186 cases), 5% for medical negligence violations with 10 cases, 2% medical negligence that led to death with 10 cases, torture and extrajudicial killings have 3 reported cases each amounting to 2% and torture that led to death with 1 reported case at 1% of total reported violations. 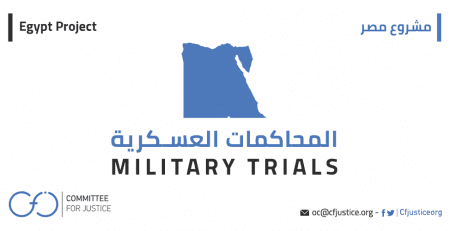 CFJ monitored 23 deaths in detention places in Minya throughout 2017. 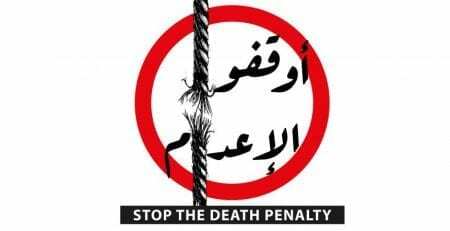 18 out of the 23 deaths took place in Minya Maximum Security Prison, and 10 out of those 18 deaths are due to medical negligence. 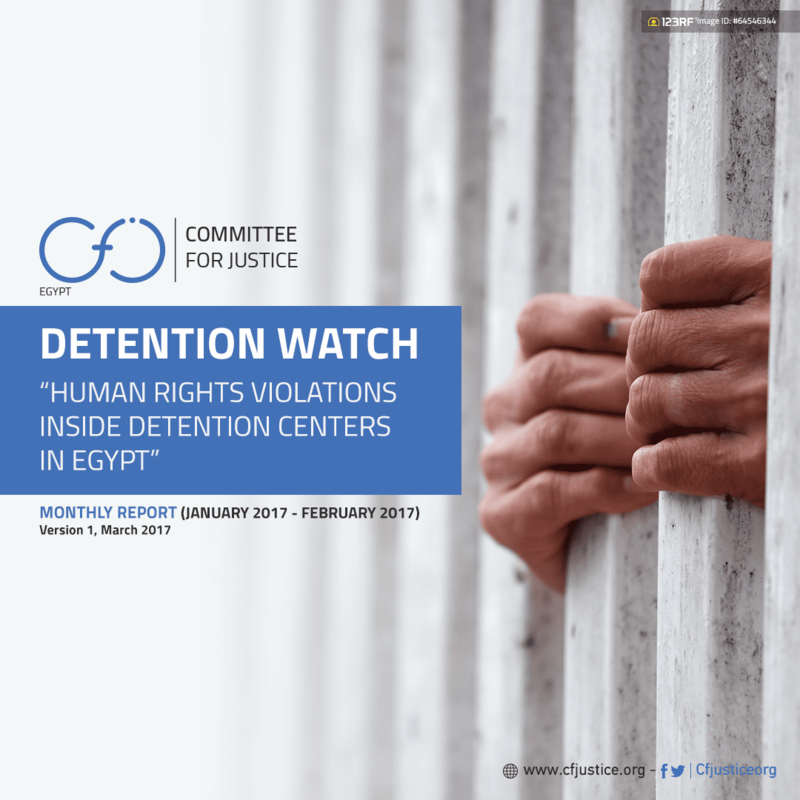 CFJ documented 48 incidents of violations targeted at 42 detainees across detention places in Egypt in November and December 2017. Enforced disappearance is the number one violation with a 68.7% of all documented violations. Followed by, medical negligence at 16.6% and torture with a 10.4% , death due to medical negligence and arbitrary detention at 2% each. Scorpion Prison has the highest number of violations these two months at 4 violations with 8.3% of all documented violations. 35 out of 42 detainees were subjected to enforced disappearance (83% of all the verified detainees). 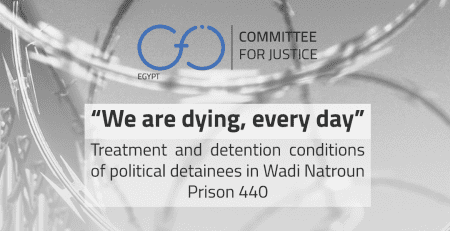 In 7 out of the 8 documented medical negligence cases, the detainees are not allowed their medication. 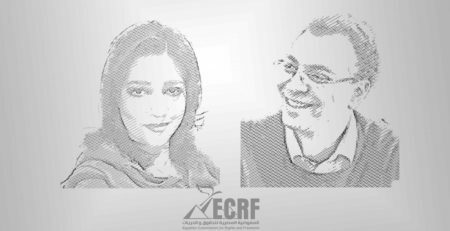 In 86% of the cases (30 out of 35 verified enforced disappearance cases) that suffered enforced disappearance, they were arrested by State Security Officers.